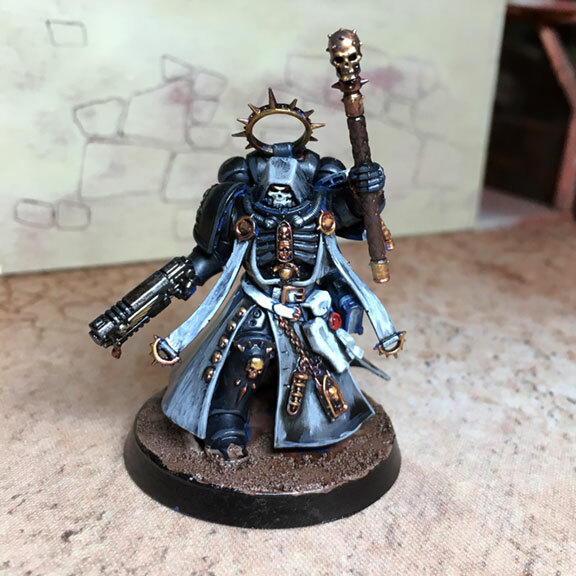 My most recent project is a Primaris Chaplain, who reminds me an awful lot of Skeletor (I’m tempted to paint my own in that classic Master of the Universe scheme). For this project my client wanted a standard Ultramarines scheme, so pretty straight-forward. One chapter colored pad and the rest of the model is black and gray. Not super exciting but the end result is clean and consistent.